Physical activity was where I made friends and how I could break through my shell and be who I was. It was what kept me alive and where I excelled, for I wasn’t excelling in the classroom. Ann Bancroft is a polar explorer, athlete, and educator. 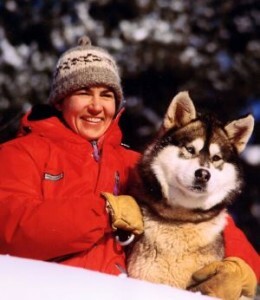 She was the first woman in history to cross the ice to the North Pole, traveling 1,000 miles by dogsled from Canada’s Northwest Territories. A few years later, she headed an all-woman team to the South Pole, becoming the first female to cross the ice to both the North and South Poles. Bancroft also led the first American women’s team to transit Greenland. As a child, Bancroft struggled in school with reading, spelling, and mathematics, but she managed to get by with help from her parents and tutors. She was formally diagnosed with dyslexia as a 7th grader, but continued to fall behind in her studies despite intensive tutoring.